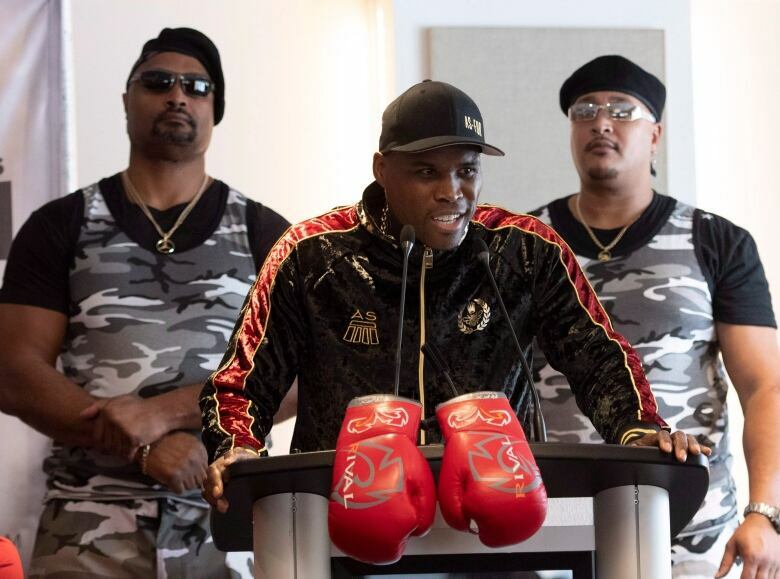 It’s too early to give a prognosis for Montreal boxer Adonis Stevenson, who remains in a Quebec City hospital after suffering a “severe traumatic brain injury” in a knockout loss on Saturday, a doctor said Wednesday. “His condition requires mechanical respiratory assistance, deep sedation and specialized neurological monitoring. It is too early to comment on Mr. Stevenson’s long-term prognosis,” said Dr. Alexis Turgeon, an intensive-care specialist at the Hôpital de l’Enfant-Jésus. The potential outcomes for Stevenson range from a “complete recovery to mortality … the whole spectrum,” he said. Turgeon, in providing an update on the 41-year-old’s condition, said Stevenson’s family would like to thank fans for their messages of support. Stevenson’s partner, Simone God, also made her first public comments Tuesday, thanking people for their messages of support.